Our Nursing Assistant program and instructors are also approved by the Massachusetts Department of Public Health. If you are looking at other schools located in Fall River and New Bedford, do yourself a favor and check us out. Our programs are priced 60 – 70% less than some other schools and we are better-just ask our students current and past. We are priced less because we don’t spend hundreds of thousands of dollars on advertising. PRICE does not mean Quality—Don’t get loaded down with DEBT! View our website for information on all of our programs. Come in and speak to our students. Our low cost affordable programs and courses, with several payment options, allow our students to obtain the skills they desire while working within their budget. We work with several funding sources for grants for those who qualify. 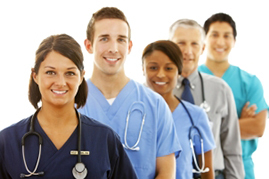 Since 1996 Health Care Training Services has provided hands on training programs in healthcare related fields. As the health care industry evolves, demand for health care workers in hospitals, physician offices, nursing homes and a variety of other health care settings is increasing faster than supply with our hands on approach to teaching, by experienced professionals, we provide the students with real world skills training. Those in demand skills are what employers are seeking for today’s jobs. Our convenient location, with easy access to Routes 24 and 195 allow students from both Massachusetts and Rhode Island the ability to attend our day and evening programs. A key element in the way Health Care Training Services works is the leadership of the school, in that our school President has worked as the President and CEO of a major health care system, which included a 350 bed acute care teaching hospital, three (3) nursing homes, a physician group practice, a home care agency, and a free standing laboratory. This experience and guidance is critical in how we deliver our programs and how we work with our graduates on placement assistance. Unlike other schools, we are open year round with open enrollment allowing for frequent starts and convenient schedules. Our school meets the approval requirements to work with grant funding programs such as the Massachusetts and Rhode Island Department of Labor and Training WIA and WTF programs. We also work with several rehabilitation programs throughout the area. Our students are eligible to take the state licensing exams required and various national certifications that employers demand. Call us today at 508-672-6800 and schedule your appointment to visit the school and learn more about how we can help you start your new life today. Health Care and Training Services © 2012. All Rights Reserved.